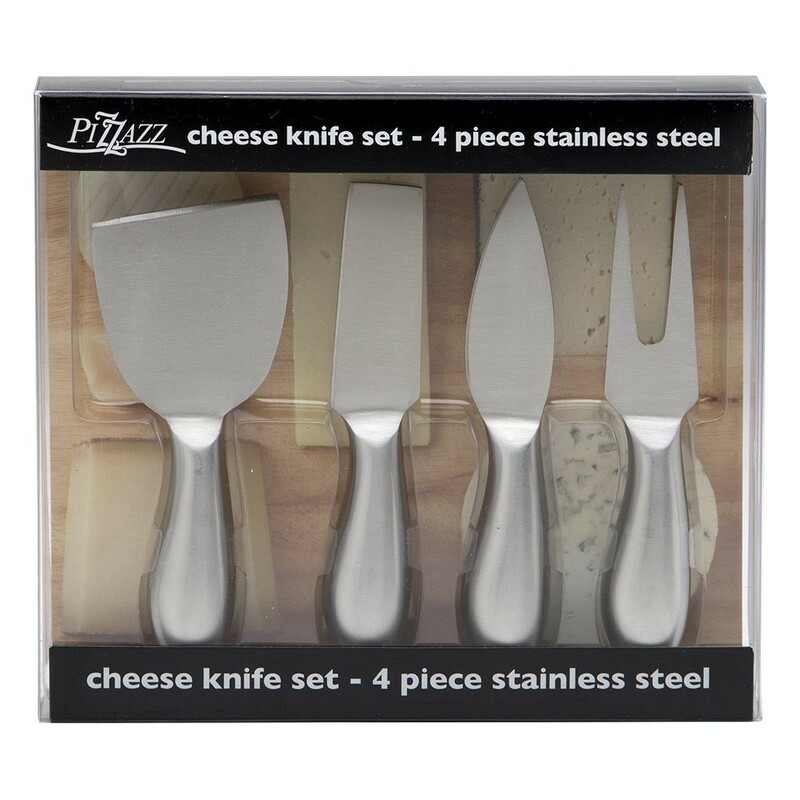 Nothing cheesy about these knives. Quality stainless from top to bottom. 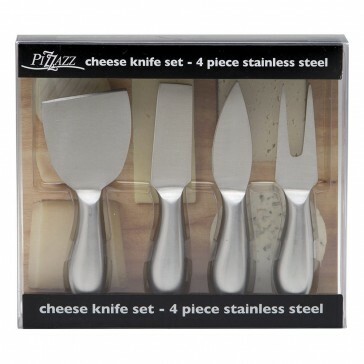 Set includes a soft cheese knife, a hard cheese knife, crumbly cheese knife and a cheese fork to hold the cheese in place when serving. Suitable for use in the dishwasher.